The Santa Rosa Original Certified Farmers Market is held every Wednesday and Saturday from 8;30 til 1, year round, at the Luther Burbank Center for the Arts. 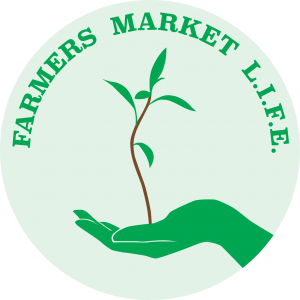 We are a California Certified farmers market. The word certified guarantees that all the fresh fruits, nuts, vegetables, eggs, honey, herbs and plants, cut flowers for sale here are grown and harvested in California (for our market, almost exclusively in Sonoma County). All of the farm-raised meat products and poultry for sale here are California-grown too. The word certified also means that the person who sells those fruits, nuts, vegetables, etc. is the farmer who produced them, their family or employee. Wednesday market is a great time to shop! Easy parking – easy shopping and a chance to talk to your favorite vendors. Produce, meat, eggs -chicken and duck, bakeries, fruit, honey, mushrooms and great places for a snack or a meal. There’s a lot to see at the Wednesday market.